The Centre County Association of School Retirees is the local chapter of the Pennsylvania Association of School Retirees, and supports education in several ways throughout the county, including the Bald Eagle Area School District. Earlier this year, Gov. 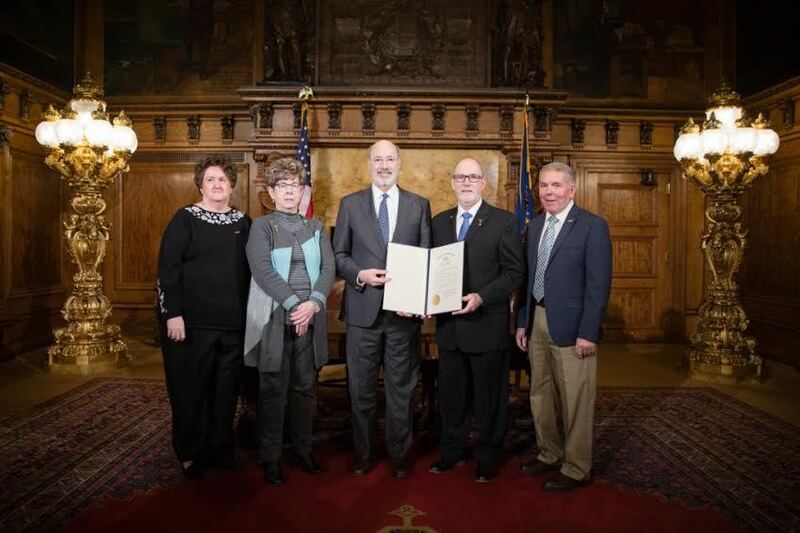 Tom Wolf signed a document proclaiming June 28 as PASR Day in Pennsylvania. The association represents former teachers, nurses, secretaries, aides, bus drivers, cafeteria workers, counselors, maintenance staff, administrators and more. According to stats from the district, 157 employees have retired from the Bald Eagle Area School District since the 2003-04 school year, attributing to an increased number of those represented through the association. According to information provided by PASR, the proclamation signing ceremony included Wolf, and PASR Executive Director Mark McKillop, Region 4 Director and Leadership Development Committee Chairwoman Jean Young, President-Elect Judith Schaffer, President Gary Parker and Region 3 Director Robert McNamara. PASR was established in 1937 with a mission to support formers workers of education, along with recognizing achievement of public school educators, employees and students through grants, awards and scholarships, and helped establish the National Retired Teachers’ Association in 1947 and the American Association of Retired Persons in 1958.